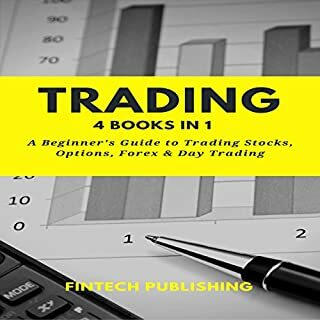 Trading: A Beginner's Guide to Trading Stock, Options, Forex & Day Trading is your one-stop guide to everything that you need to learn about getting started with stock trading stocks, options, forex, and day trading. This is unlike any other book on investing and trading. Especially written for beginners, this book will teach you the ins and outs of all components of the stock market, which will allow you to turn it into a goldmine. If you have questions, here are the answers that you need. Countless people, just like you, have proven time and again that trading on the stock market is a potential path to wealth and financial security. If you have been dabbling with trading in the stock market for a long enough period of time to know just what it is you don't know, then Trading: Advanced Tips & Tricks for Trading Stocks, Options, Forex & Day Trading is the book you have been waiting for. 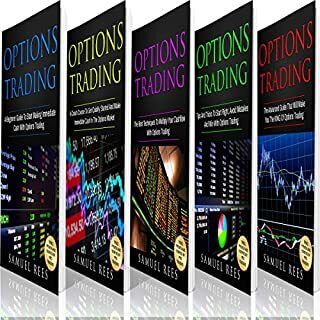 An authoritative book that teaches you all that you desire to know to make a passive income trading in options. If you live from paycheck to paycheck, then you will probably never enjoy financial freedom. However, if you invest part of your income in options, then you will start to earn a regular income and be well on your way to wealth and a comfortable lifestyle. While you may not become an overnight millionaire trading options online, if you work hard, learn to be disciplined, and trade with caution, you are likely to succeed. Are you a beginner or someone who's not currently making enough money trading options? Do you need a straight-forward audiobook that guides you towards the right path with valuable information and knowledge? Are you looking for content that is actually useful and applicable? You have come to the right place. Here, you have an audiobook with well-researched and high-quality content that is made to help you! Swing trading is gaining popularity as a powerful method to increase returns, and potentially lower risks, by profiting from short-term price moves. The Master Swing Trader explains how traders can use technical analysis, charting, and market sentiment to make trades that hold through price fluctuations and noise with wider stops. When it comes to investing in the stock market, focusing on dividend-producing stocks and other assets is one of the best ways to solidify a profitable approach in the long term. 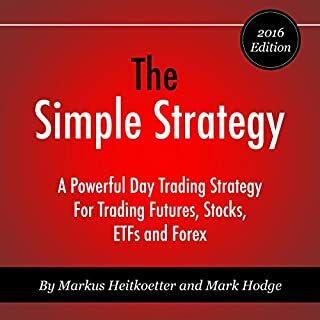 If you are looking for a way to make the most of your time investing in the stock market, then Trading: Intermediate Strategy for Trading Stocks, Options, Forex & Day Trading is the book that you have been waiting for. Inside you will find everything you need to implement intermediate strategies to produce the highest profits with minimal effort on your part. The stock market is one of the best ways to make money online. In fact, there are people who are able to quit their day job and become full-time traders. Just like any other investment, there are risks involved when you engage in the stock market; however, if you stick to the strategies and best practices in this book, then you can significantly increase your rate of success. Now is the time to make a difference. Learn how to trade stocks effectively, be successful, and live a happier life. I liked this book very much and I read it with great pleasure. I highly recommend this guide for those in need of this type of information. I've recommended it to a few of my friends. 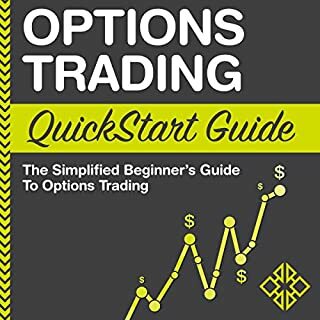 This book showed me ways I can improve in different forms of trading without the fear of losing. This is a book for anyone who is serious about improving their trading strategy. Very well written and narrated. Lots of books out there that are far more informative. 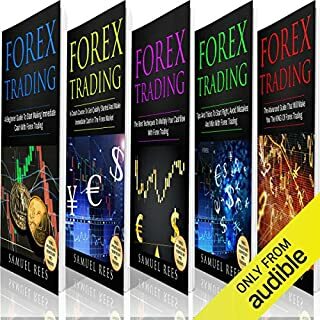 This book is for beginner traders that simply want to understand how things work. Books three and four where a little better but again better sources out there. The book goes straight to the point and it is filled with clear instructions on how to successfully trade. It will become my everyday go to guide while I am trading until I make sue I am following all the advise given in it! A great guide to step up your trading skills a notch. The success stories act as a great motivation to boost up one's trading. I enjoyed it and it will likely be the jumping off point for my own day trading activities. Download and learn from the pros. Highly recommended this book.